We are centrally located in downtown Corner Brook, 1 ½ hours from the entrance to Gros Morne. 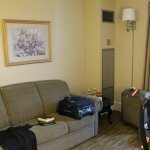 Thank you for complementing our friendly staff and the facilities of our Tudor Styled Inn. Thank you for complementing on the charm of our Inn. 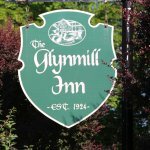 The Glynmill Inn with “unparalleled Ambiance in Old English Style”, juts up through the maples in the center of the city’s majesty, nestled in a panoramic garden, the white and green Tudor style roof peaks, inviting you warmly to come by. It seems the city has grown around us, yet afforded us seclusion, the intimacy of a resort and bestowed us with our own pond in a tranquil setting.